For the Adventure photography, Everest three passes trekking is incredible. Everest region itself is a paradise for the adventurous journey and this trek is rewarding for the adventure photography. The trek begins from Lukla and walk to Namche Bazaar. 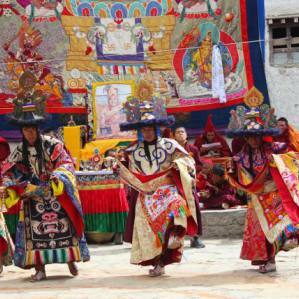 The brilliant Himalayas and picturesque Namche Bazaar can offer you some opportunities for the wonderful snaps during the trek. The stunning panoramas at the alpine region of Everest begin once you trek above the Thame. You can have some cultural photography moments there. From Renjo La Pass, the precious Himalayas of Mt. Everest and the surrounding vistas look outstanding. Photography in Gokyo Lake and Gokyo Ri lets you explore yourselves. The views of Everest region peaks, Makalu, Nozumba glacier and the Hidden Lakes can be arrested at your camera. Adventure Photography Trek in Everest leads you to the Everest base camp via the Cho La Pass. The breathtaking sunrise view over the 8000 meter peaks offer some of the best photography moments. The Khongma La Pass is the last pass of this trek and again the luminous that offer brilliant form to take incredible photographs of the Everest region from a different angle than the previous ones along with the hidden Sherpa valleys. 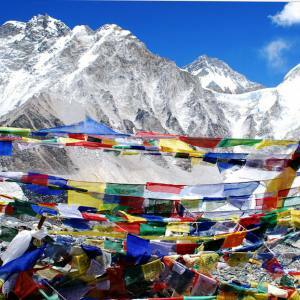 Nepal Kameleon Holidays exclusively organizes Adventure Photography Trek in Everest on the Everest three pass trails. 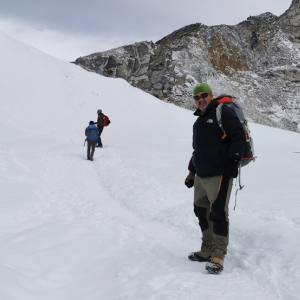 Everybody, who are interested in this trek needs physical fitness and acclimatization that we make you accustomed during the trek with rest days. So, charge your camera and make sure you have enough spare memory sticks. Day 06: Walk to Thame (3820m). Day 07: Walk to Lumde (4368m). Day 08: Walk to Gokyo (4790m) via Renjo La Pass (5340m). 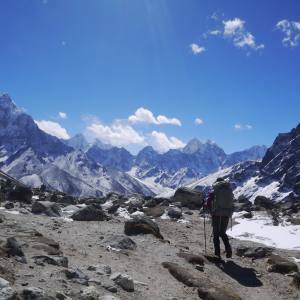 Day 09: Explore around Gokyo valley, hike to Gokyo Ri (5360 meters). Day 10: Walk from Gokyo Lake to Thangnag (4765 meters). Day 12: Walk from Dzongla to Lobuche (4910 meters). Day 14: Walk to Kalapatthar (5550 meters), climb down to Gorakshep and to Lobuche (4280 meters). Day 15: Walk from Lobuche to Chhukung via Khongma La Pass (5555 meters). Day 16: Walk from Chhukung to Kyangjuma. Day 17: Walk from Kyangjuma to Monju (2835 meters). Day 18: Walk from Monju to Lukla. Day 19: Fly back from Lukla to Kathmandu. Flight ticket for Kathmandu - Lukla - Kathmandu. Full board meals and lodge accommodations during trekking (B,L,D,A). This itinerary is an outline. You can customize your own plan and let us know. No doubt, we organize the trip of your desired. Day 06Walk to Thame (3820m). Day 07Walk to Lumde (4368m). Day 08Walk to Gokyo (4790m) via Renjo La Pass (5340m). Day 15Walk from Lobuche to Chhukung via Khongma La Pass (5555 meters). Acclimatization and physical fitness are essential for this trek. We recommend you to have some reserve days.